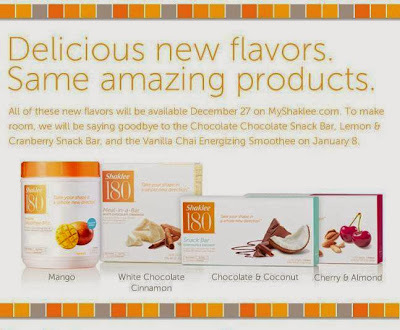 Be Barefoot : New Shaklee 180 Flavors Announced! New Shaklee 180 Flavors Announced! Frozen Mango's are very popular at our house, so the addition of the Mango flavor Shaklee 180 Energizing Smoothee - powered with Leucine is an exciting addition! The meal replacement bar White Chocolate Cinnamon has been reported to taste just like a cinnabon! To top off the new flavors is two new Shaklee 180 snack bars, Chocolate & Coconut and Cherry Almond. Healthy has never been more tasty..